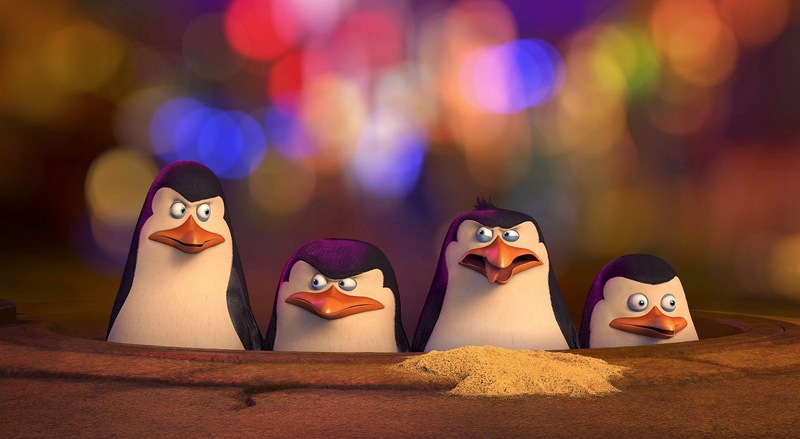 Sure they've had a successful run on their own Nickelodeon series, where the penguins function as a sort of espionage squad involved in wild misadventures. But each episode runs a mercifully short 20 minutes, which is about how long Penguins of Madagascar manages to captivate a viewer before going off in a safely predictable direction. In those first 20 minutes, we see how the three older penguins broke with their conforming cohorts and found and raised the newborn Private. This is all told through the lens of a Herzog-like documentarian (voiced by... Werner Herzog) filming the birds in their natural Antarctic habitat with a human's eye for maximum adorability. About the time the penguins find out there's an evil, very jealous octopus (John Malkovich) gunning for them with a super-weapon designed to extract the penguins' very cuteness, things start to, pardon the pun, go south. 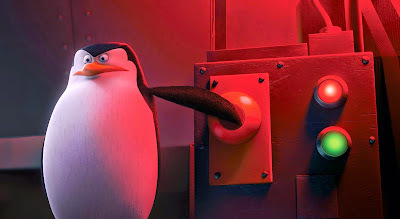 Even the mellifluous vocal presence of Benedict Cumberbatch as Agent Classified, the lupine leader of the elite North Wind squad, isn't enough to keep Penguins of Madagascar from sinking into triteness (save for a hilarious scene where Skipper keeps interrupting the grave Classified with crunches on cheese puffs as the wolf explains who the North Wind are). The unimpressive animation further cements the idea that the feature might have worked better as an extended episode on cable or in the direct-to-video market. Halfway in, I knew I was watching something and that it occasionally made me chuckle. But I'll be damned if I can remember any of the movie's disposable plot past that point. 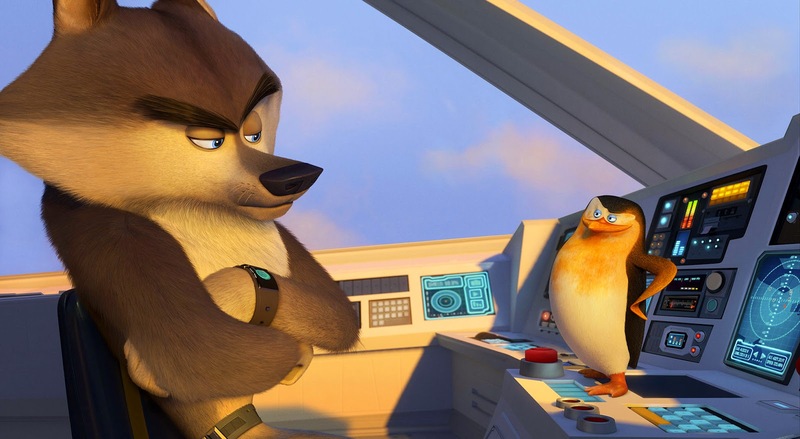 Penguins of Madagascar is pleasant enough to entice the kids the film is targeting, but it's significantly less than essential viewing for anyone else.